Thank you for your interest in volunteering with the Medicine Hat Police Service! For many years volunteers have played an important role in our organization, enhancing the services that we provide to our community through our Victim Assistance and Auxiliary Police Officer Volunteer programs. We have been proud to partner with many talented, skilled and selfless individuals who have offered the gift of their time and unique skills sets to supplement and support our policing efforts. The success of these programs has led us to expand our existing volunteer program to included other opportunities for dedicated individuals to join with us and contribute to creating a positive impact in our community. 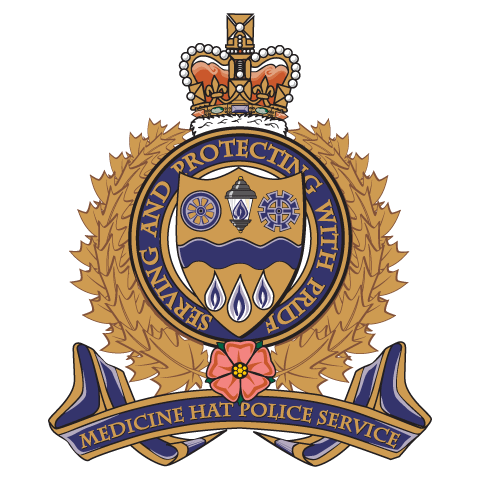 Volunteering with the Medicine Hat Police Service will give you the opportunity to meet new people, learn new skills and become more familiar with the policing needs of our community. And in return, as a representative of our community, you may also be able to provide us with insight into issues that would allow the MHPS to improve our effectiveness and connection with the community as a whole. Members of the public who wish to volunteer will be required to successfully pass a police information check, adhere to the procedures and guidelines outline in the MHPS Volunteer Handbook and responsible to read and comply with the MHPS Volunteer Policy. All volunteers will be required to attend a mandatory orientation and training session prior to the commencement of any volunteer activity. Supplemental security clearance and training may be required depending on the volunteer position applied for.